Dan is President and CEO and a founder of The Prado Group, a privately held investment, development and property management firm headquartered in San Francisco. The firm’s portfolio consists of apartments, retail and mixed-use properties in core downtown areas in the San Francisco Bay Area. The firm's strategy is to acquire and invest in urban and suburban infill properties within the greater San Francisco Bay Area in transit-rich, vibrant areas where people can live, work, shop and relax. Dan oversees the investments, development, strategy and operations of the company. He graduated with a BA from the University of California, Berkeley and received his JD from the University of California, Hastings College of Law. He is a member of the California State Bar, Lambda Alpha International, ULI, and ICSC. 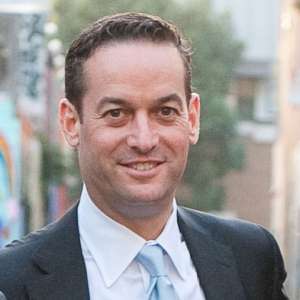 Dan has served on the Board of the San Francisco Jewish Community Federation and was the Chair of the Endowment Committee in addition to serving on the Investment, Finance, Capital Planning, Building and Executive Committees. Dan is also the Chairman of the Board and chairs the Real Estate Committee for the Jim Joseph Foundation. Dan serves on the Policy Advisory Board for UC Berkeley’s Fisher Center and is a founding member of UC Berkeley’s Terner Center for Housing Innovation. Prior to forming Prado Group in 2004, Dam was a Principal and Executive Vice President at Prometheus Real Estate Group. Prior to Prometheus, he was a Portfolio and Asset Manager for AMB Property Company in San Francisco and responsible for AMB's International Client Portfolio.